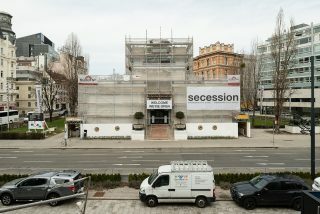 The Secession remained open to visitors and continued to present exhibitions during the renovations. 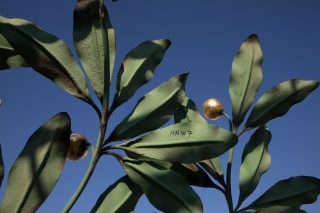 In the workshop of the gilding company Kratochwill around 2,500 leaves and over 342 berries of the Secession dome were gilded with gold leaf. 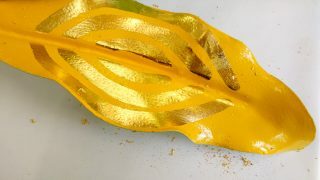 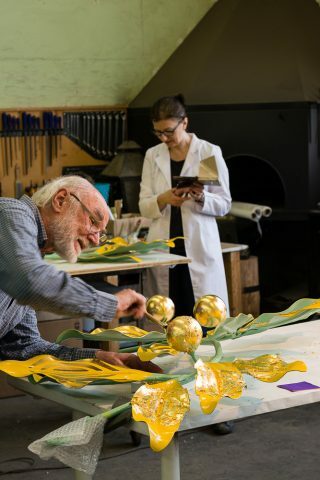 In the workshop of gilding company Kratochwill and the restorers Ulrike Rossmeissl and Wolfgang Schwarzkogler, around 2,500 leaves and over 342 berries of the Secession dome were painted and then gilded with gold leaf. 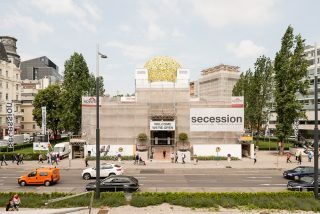 It was an unusual sight to see the Secession without its characteristic “Krauthappel”. 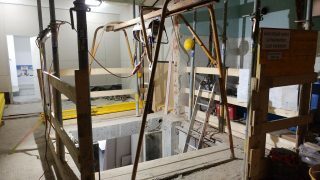 The dome was dismantled for renovations between November 2017 and May 2018. 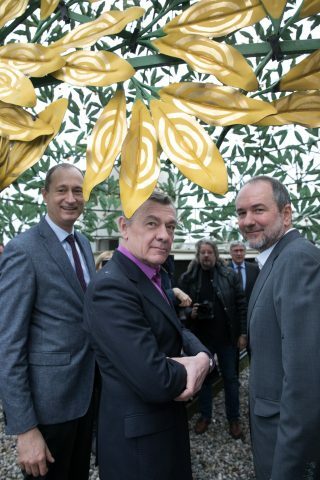 At the beginning of November 2017, the dismantling of the dome started. 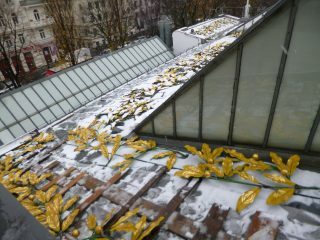 All leaves and the support structure were removed to be restored for several months. 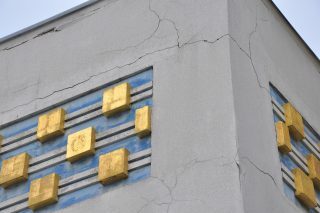 Before the restauration of the Secession building damages of the facade and the dome were already visible.